Scouring the net looking for data and specifications of Google’s Nexus 7 tablet (wanting to try out the Ubuntu Touch Developer Preview) , I got myself into the Nexus 5 smartphone specifications too. 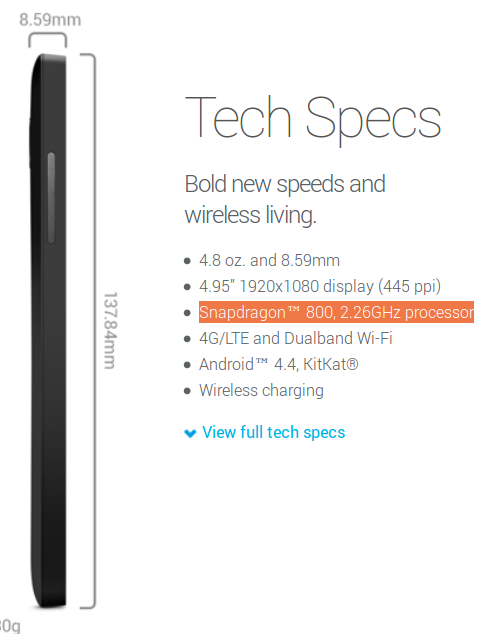 Here I noticed a peculiar grammatical difference in how the specs is presented, which also exists in the specs for other products (at least the Nexus 7 also). The issue is a result of internationalization (i18n) and localization (l10n) of the specification texts as presented to users in different regions of the globe. I’m a native Dane, so my search ended correctly (helped by my browser language setting and Google geo-ip) up on the Danish Google page at http://www.google.dk/nexus/5/. 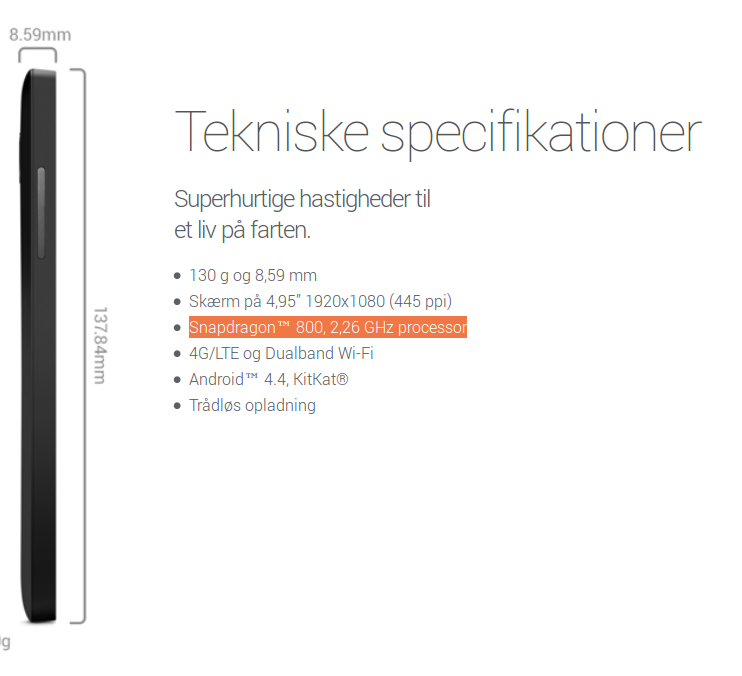 This changes the meaning of the sentence in Danish to a listing of three features, namely “Snapdragon™ 800”, “2” and “26GHz processor” which is both incorrect, incomprehensible and ambiguous. This text doesn’t hit my abomination trigger, and also better models the information’s true inheritance as being not side-ordered, but a sub specification to the the processor model. How and if this kind of subtle difference between locales and languages should be handled in internationalization systems I can’t really comprehend. It’s a complex task even without this, but this example clearly emphasizes the need for proofreading by an actual native speaker of all languages, before completeness and non-ambiguity can be guaranteed.